Many people seek thicker, fuller hair. Often there are many factors that can affect hair growth. Aging and hormones are the most common factors, but taking medication, or having a poor diet, can also lead to thinning hair and hair loss. Most people can’t afford surgical hair implants, so the next best option is to use a simple but affordable haircare product that will not only help to encourage the growth of hair, but it make it grow in healthier and more fuller than before. Castor oil is one of the most effective haircare treatments. Best of all, it’s a type of vegetable oil that’s been sourced from cold pressing the seeds of the castor oil plant. 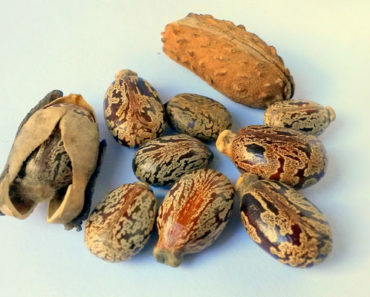 These seeds are contained within the mottled brown castor beans. This oil is safe to use on hair, eyebrows, eyelashes, and skin. Once you decide you want to try an effective and simple treatment for your hair, eyelashes, and eyebrows, you may discover that there are hundreds of different brands of castor oil on the market today. There are a few things you need to know before making your choice. USDA organic brands are some of the best. 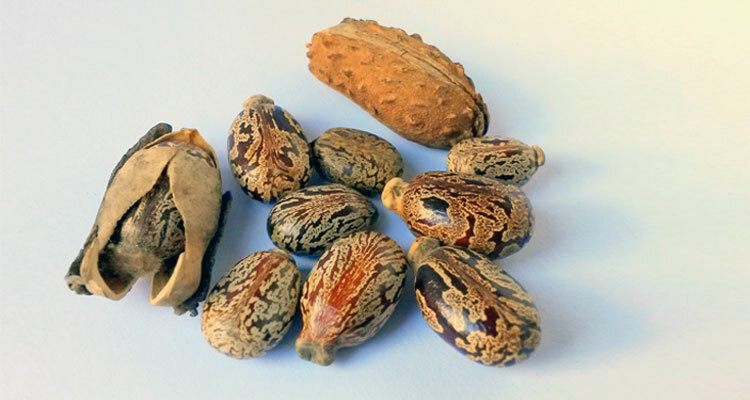 This certification means that the castor plants were grown with a minimum of harmful pesticides. Since the product is touching your skin, it’s important to avoid toxic chemicals that can enter your body through the surface of your skin. There are different world certifications for the “organic” label, but USDA Organic is one of the most trusted of all the types in the world today. Cold pressed oils are also better for you as they retain the natural compounds, vitamins, and minerals that will help your hair follicles to heal and encourage new hair growth. 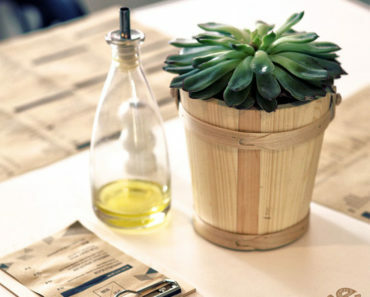 Hot pressed oils have lost all their nutrients and are best to be used for cooking, rather than health or beauty care. Also read the labels for ingredients to ensure your castor oil is 100% pure, without any other ingredients. Why Should You Choose One of These Listed Brands? Sky Organics, Molivera, Kate Blanc, NOW, and Cammile are five of the best brands of castor oil to buy online. You should choose one of these five brands because they have the certifications to prove that they’ve been produced with quality production practices or that the companies have taken great care to ensure that the oil has been carefully filtered from impurities. These five brands are guaranteed to work well at restoring your hair’s natural growth. Some even go so far as to offer a “money back guarantee” if you’re not completely happy. Here are 5 of the best castor oil brands on the market today. Has moisturizing and healing properties for hair growth. Also works to moisturize dry skin. Use for all types of skin and hair. Sky Organics castor oil can be used for all types of skin and hair care. This oil is rich in fatty acids and vitamins that not only moisturize the hair, but also provide nutrients to encourage hair growth. This oil has been grown naturally, and is certified 100% natural and USDA-certified organic. The castor oil has been produced with the highest quality standards, and contains only 100% pure castor oil, no other ingredients. The oil has been sourced from organic artisanal farmers in India. The oil has been made from organic castor beans and chemical-free substances. It doesn’t contain any additives or fillers. The manufacturer has even taken care to put the oil in a BPA-free bottle so that no toxic chemicals bleed from plastic to oil. This oil is suitable for all hair and skin types, even sensitive skin. Since it’s free of harmful substances, this is one of the best choices for people who suffer from sensitive skin. There will be a decreased likelihood that someone would suffer from allergies or bad reactions when using the oil. This castor oil has been produced by being cold pressed, not heat pressed. It contains no hexane, like many other types of oils do. Cold pressing helps the oil to retain its nutrients, which are essential in encouraging hair follicle growth. This oil provide natural healing properties to hair, lashes, and brows. The oil is simple to use. It absorbs quickly into the skin and will provide results as the hair grows and renews itself. The Sky Organics brand sources their products at their origin to guarantee the highest quality product. They also include a free eBook with beauty tips so you know the best way to use the product. They also include recipes to help make your own serums. Premium cold pressed castor oil. Works well for scalp acne that can affect hair growth. UV-resistant bottle to prevent oil spoilage. Molivera Organics is a 100% pure cold pressed castor oil. The oil is perfect for hair, lashes, and brows, but can also be used on the skin. This company is a highly trusted brand. This oil also has a guarantee on it that it will work or you’ll get your money back. This oil isn’t organic-certified, but great care has been taken during production to ensure that the best product has been created. This oil has been triple filtered, to ensure that it’s only 100% pure after processing. This oil is the highest premium grade available for castor oil, and is Grade A. It’s been made only in small batches to guarantee that it’s 100% fresh and pure. Many other castor oil products on the market may only have one or two beneficial characteristics on this list, but Molivera’s oil has been cold pressed. It’s fragrance-free, and hexane-free. It doesn’t contain any chemicals and is preservative-free. It’s also 100% vegan, so it’s suitable for vegetarians, vegans, or those who don’t eat certain types of meat for religious reasons. This oil is high in antioxidants, essential fatty acids, vitamins—including vitamin E, so it will provide only the best results. All of these properties work together to increase the blood flow to your scalp and hair follicles. Better blood flow means that your hair will grow in thicker and fuller than before. To use the oil, you’ll need to apply it on a daily basis for several weeks before seeing the final results. Once you’ve begun, stick with it. Use the oil on hair and lashes after each time you have washed your face. 100% pure cold pressed castor oil. Stimulates hair growth & eyelash & brow growth. The Kate Blanc castor oil includes three different applicators: eyedropper, mascara wand, and eyebrow applicator to make it simple to apply the oil to hair or face. This oil is certified 100% organic and pure. There is only one ingredient in the bottle: 100% pure castor oil. This oil is natural and pure and contains no hexane that is often used to produce beauty oils. It will help you to grow long lush eyelashes and bold eyebrows. Castor oil also has anti-aging properties, so you can continue using the oil into your middle age and senior years, in order to help retain lush hair growth. This oil offers a safe and natural way to stimulate growth of hair without prescription medications. It can also be used to treat normal hair, and is suitable for all ages. The oil will help to resolve any scalp or skin issues that may be preventing hair from fully growing in, including follicular infections, fungus or dandruff, bacteria, and clogged hair follicles. Dry brittle hair will receive the moisture it needs with regular usage of castor oil. Your hair will grow in more thicker and fuller than before if you use the oil on a daily basis. Since it takes time for the hair to regrow, there is a one year warranty on this product. That is plenty of time to allow your hair, eyelashes, and eyebrows to grow in fully. 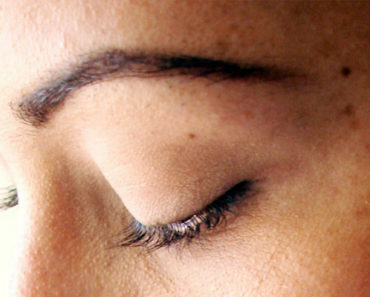 To use the mascara wand or brow applicator, first remove the eye dropper. Then swipe the wand or applicator gentler against the eye dropper. This provides just the right amount of oil for application. Only one ingredient made from the ricinus communis plant. One of the best skin & hair emollients made. This oil is a simple and affordable way to treat your hair, eyelashes, and brows. It’s not organic or certified, but NOW has created it to be 100% pure. It doesn’t have an unpleasant smell like many other castor oils do. It has a clear and lightly yellow colour. This oil is versatile and can be used for a variety of hair care and skin care treatments. It’s multi-purpose and is skin softening and hair softening. It’s easy to use this castor oil. A few drops can be poured out of the bottle, then applied to your brows and eyelashes. The excess oil can be used to soften fine lines around eyes or mouth. A more generous amount can be used to treat the scalp before washing your hair. You can also use a few drops to style your hair to stop flyway strands, or to make split ends look smoother. Many people like to make their own serums with castor oil. You can pore a small amount into a spray bottle with filtered water and your favourite essential oil. The oil can be more easily sprayed over your scalp and it keeps your hands dry. This lessens the chances you’ll transfer bacteria from hands to scalp too. You may also the oil as a massage oil for all parts of the body, or on your scalp. Apply the oil to your scalp, then cover your head with a hot towel from the dryer. Sit for half an hour, then wash and style your hair as normal. It should take about a month to start seeing the results. It’s not an overnight cure, as your hair needs time to regrow. Give it a full month for your scalp hair, your eyelashes, and your eyebrows to regrow. Suitable for hair, eyelashes, and brow growth. Provides moisture to hair and skin. High quality dark glass bottle to ensure long shelf life. Cammile organic certified castor oil will help provide thicker and fuller hair, and attractive eyelashes and eyebrows. Great for using as a growth serum. You’ll soon have many compliments on how good you look. This castor oil will also provide moisture to the skin and hair without harmful chemicals or ingredients that you can’t even pronounce. This oil is 100% safe to use around your eyes. Less is more, so you’ll want to avoid getting oil in your eyes as it can blur your vision, but it’s safe if it does get in your eyes. Use the oil on your scalp before you wash your hair, or put it on overnight, then wash your hair in the morning. Some people prefer to apply it every two days. If you’re using it as a styling aid or to soften split ends, then apply it as often as needed. Apply it to your eyelashes or eyebrows after you have washed your face. If you’re still stuck on choosing which brand of castor oil is the best, then simply purchase two or three bottles. Once you begin using castor oil to encourage the growth of hair, eyelashes, and eyebrows, you’ll soon discover that there are many more skincare and health and beauty uses for the oil too. Soon you’ll be able to put away your other hair conditioners and serums that do nothing at all. Great! Thanks for sharing this list! It is still best to use natural remedies.